UHub was present yesterday at the high level conference Investing in Europe: building a coalition of smart cities & regions towards a Third Industrial Revolution, hosted by the European Committee of the Regions. The seminar was co-hosted by Maroš Šefčovič, Vice President of the European Commission and Markku Markkula, President of the European Committee of the Regions CoR. They were joined by Jeremy Rifkin, President of the Foundation on Economic Trends. The main message of the seminar was one of cooperation. Cities and regions were encouraged to further cooperate in order to bridge the investment gap. By making sure all available EU funds go to projects that help cities and regions face the many challenges they encounter, the EU as a whole can be pushed towards what Rifkin calls the Third Industrial Revolution. As President Markkula highlighted, “We need to plug the €250bn investment gap by directing EU funds and private investment towards innovation, new technologies and new industries. Every EU region and city must share the responsibility by developing their own smart strategies, cooperating together, working with the private sector and using all funds available to build a better future”. The seminar offered the platform for regional and local leaders, from mayors of up-and-coming cities to ministers of economy, to share their strategies in mobilizing the public sector, civil society, business owners and academia in helping to transform their jurisdictions into a smart economy and society. 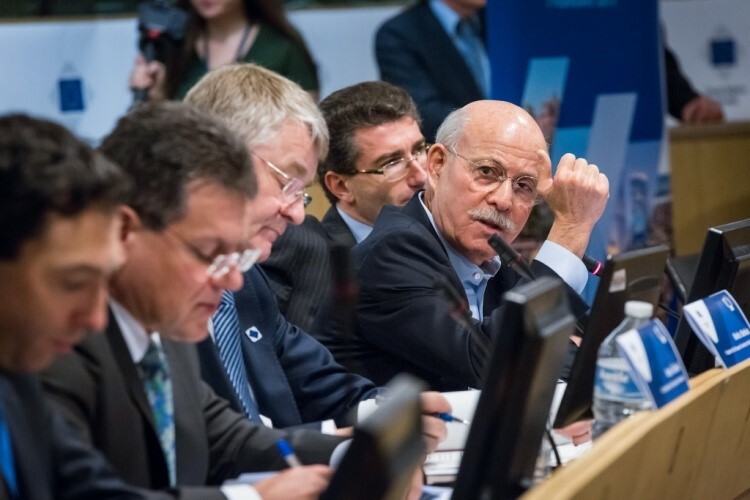 Rifkin believes the EU as a whole is on the right track, saying that “The Smart Europe initiative marks the next stage of the European journey to create a single, integrated, continental market”. Though the solutions presented by the speakers were often tailor-made for the specific challenges they faced and their specific area, we learned that the common thread that binds them is their creativity and innovative spirit. The regional and local leaders’ commitments to reducing energy consumption, investing in innovation and digitalising their economy have brought jobs and environmental benefits to their communities. However, further emphasis must be placed on Union-wide reforms that rely on better exploiting new technologies and accessing the EU funds made available for regional and local development.